The Day Planner Book is a diary with the purpose of recording the task for each day. The Book accommodates 2000 records and features space for day, date, time and tasks. The Day Planner Book is very helpful to keep track your daily tasks. The Day Planner Book is in 280x140mm size, almost a A4, with 100 pages and a unique lay flat binding finish, easy for writing across two pages and allows book to stay flat. Each page has 26 lines per page that are numbered vertically for easy entry writing. 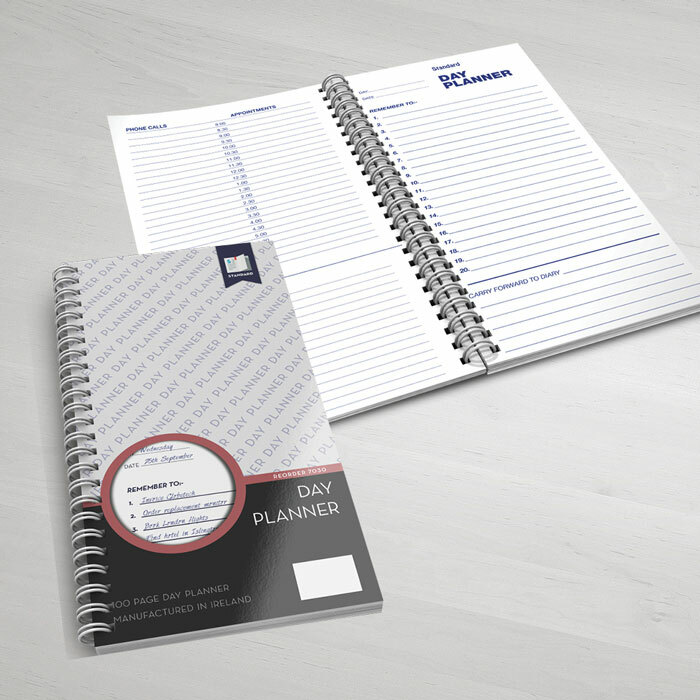 The Day Planner Book is printed on high quality and with the finest material and finishing.